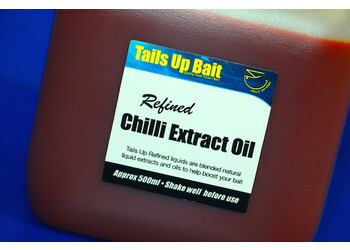 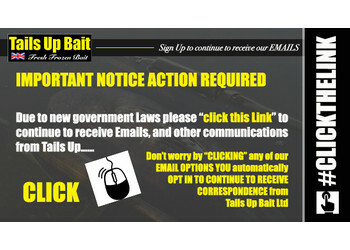 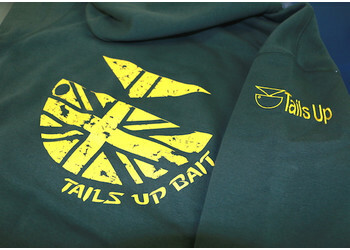 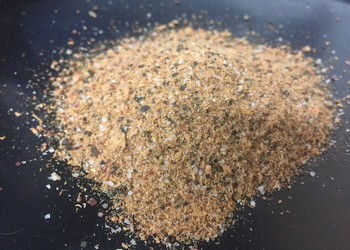 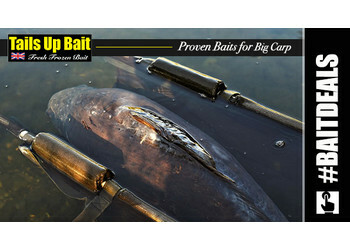 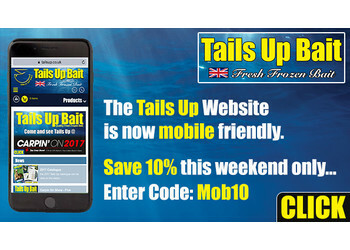 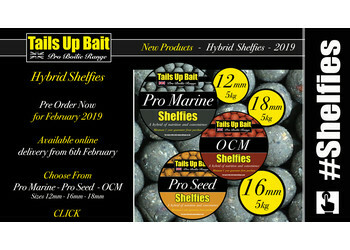 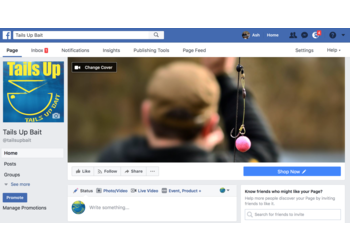 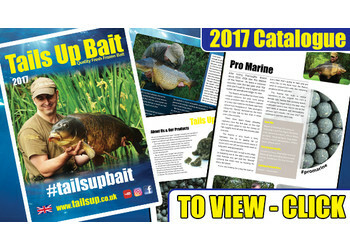 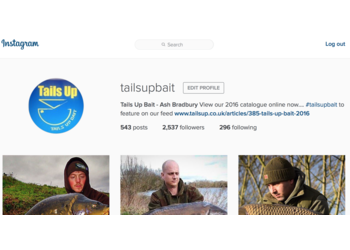 Thank You by clicking the link from our email you have automtically signed up to continue to receive email and other correspondence from Tails Up Bait ltd.
View our new 20 page product guide online now. 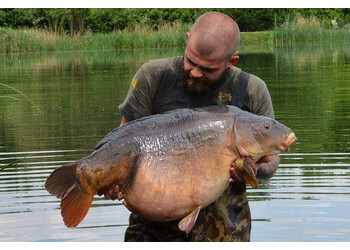 Congratulations to Darryl Ozman on landing this 52lb new Personal Best and Lake Record, incredibly he landed it on Christmas Day, what a present! 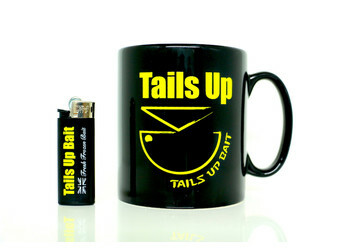 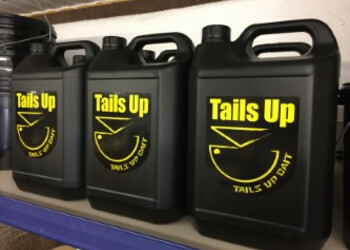 The Tails Up new branded mugs and lighters are now available to purchase online or by phone. 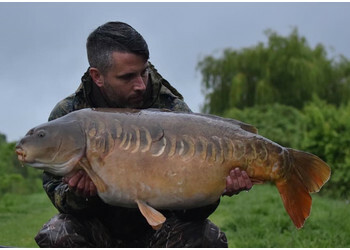 Congrats to Rob Anderson on his brace from Cleverely Fisheries, "The Mere"
Congratulations to Stu Smith on landing first a 38.14 oz linear and then the next day an incredible 49lb 8oz leather! 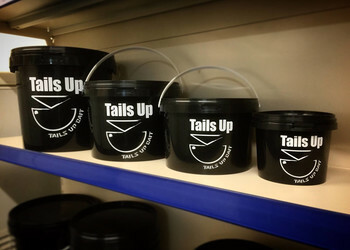 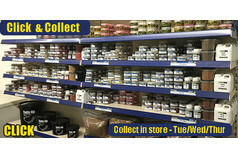 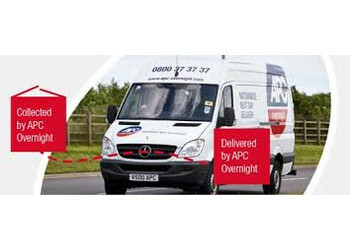 Tails Up are always looking at improving our customer service and now we have added the Click & Collect service when ordering Online. 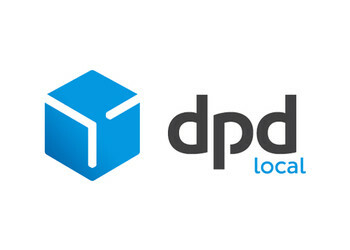 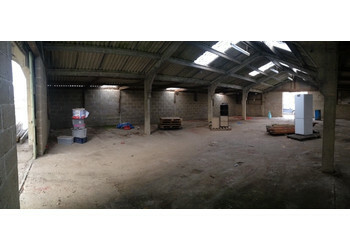 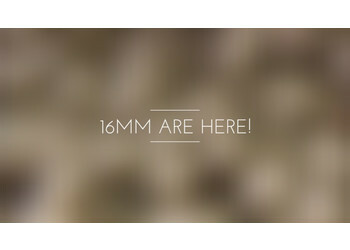 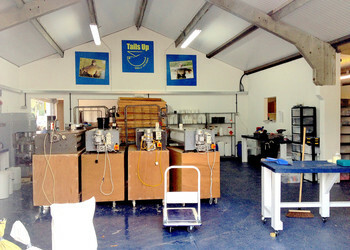 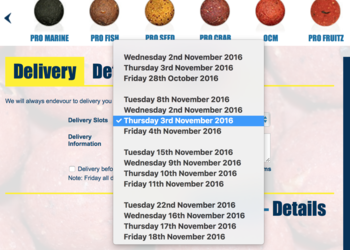 Simply choose your product, choose a pick up date, payment method then collect your order direct from our factory! 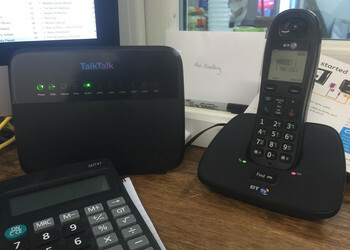 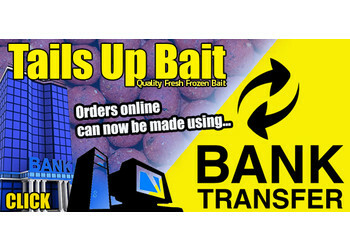 Here at Tails Up we are constantly trying to improve our customer service, we are pleased to introduce our Bank Transfer option for payments. 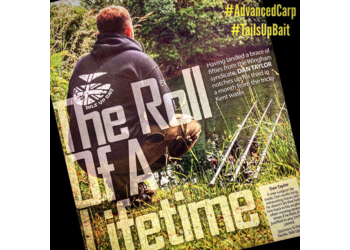 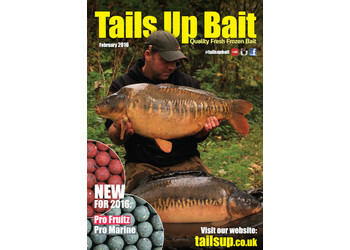 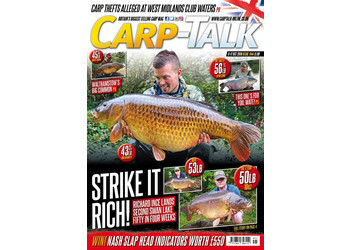 Congrats to Paul McCarthy, Alistair White and now Josh Bennett on making it a hatrick of Carp Talk Front Covers for Tails Up this year and all falling to the Pro Marine. 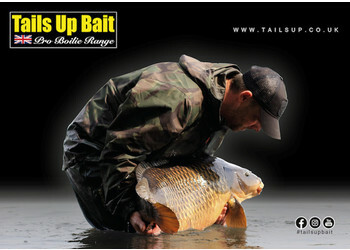 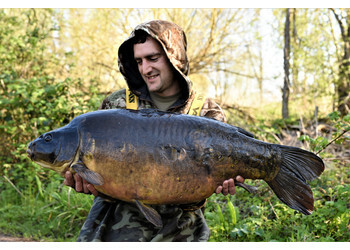 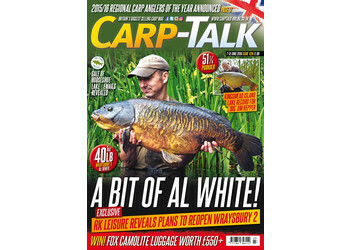 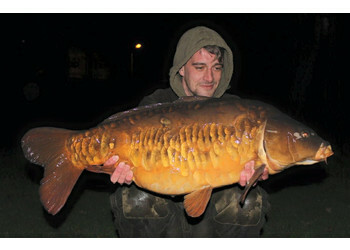 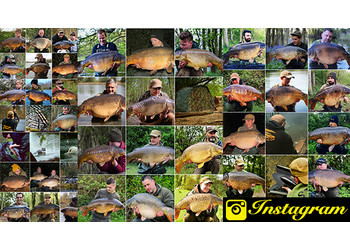 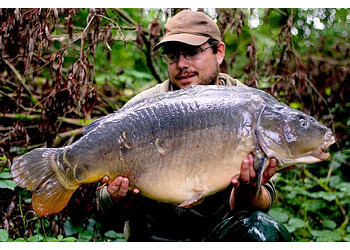 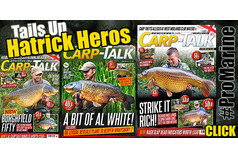 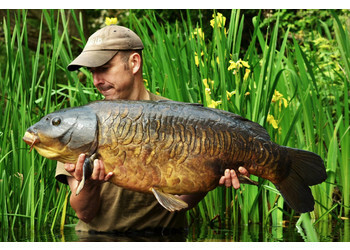 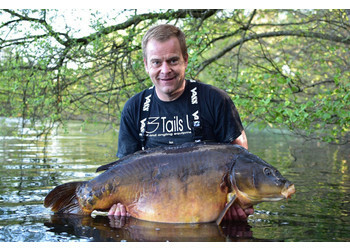 Congratulations to Paul McCarthy and Ali White on their back to back Carp Talk Front Covers! 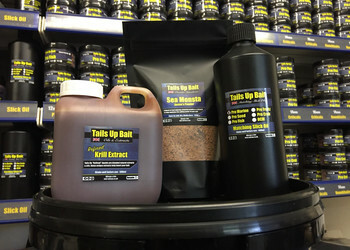 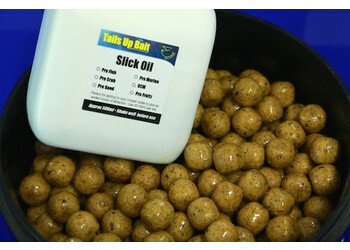 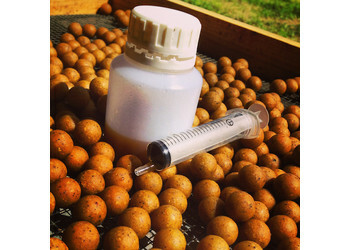 New for 2016, Matching Slick oil is a combination of our renowned Amino Dip then blended with Natural oils and Liquids to match your chosen bait. 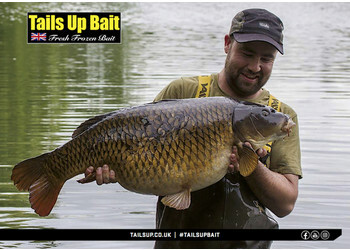 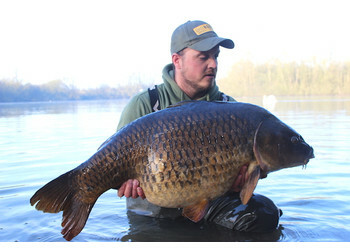 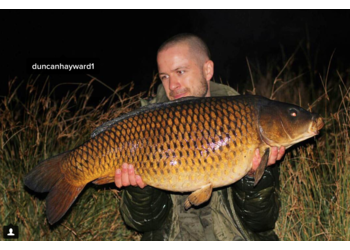 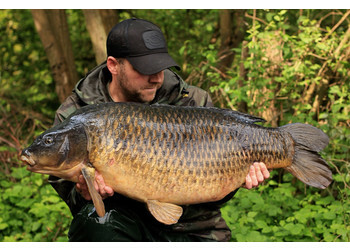 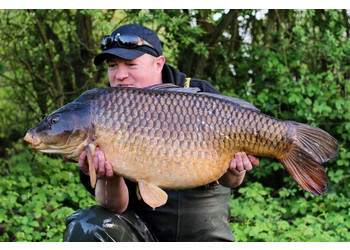 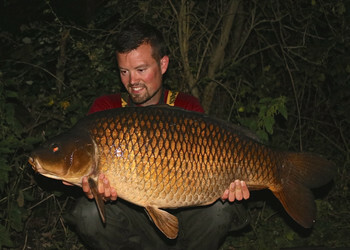 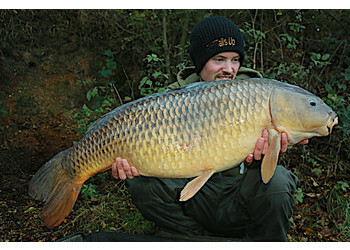 Congratulations to Paul who landed the magnificent Snake pit common on the weekend at 49lb 8oz an amazing result which the full story the current issue of Carp Talk so make sure you go and grab a copy! 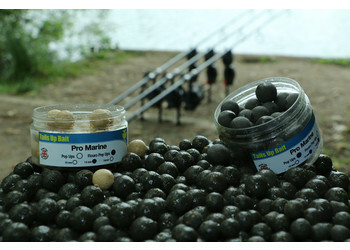 The eagerly awaited Pro Marine will go on sale Spring 2016 with the official release date around 23 rd March, with pre ordered from March 1st. 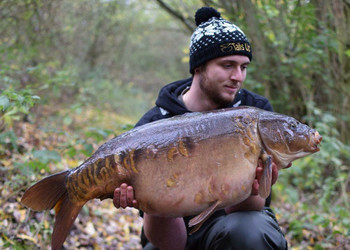 Roy Hits The Suffolk Water Park for 6, including 3 x 30s all landed on the Pro Seed, again proving how good the Seed performs in the colder temperatures. 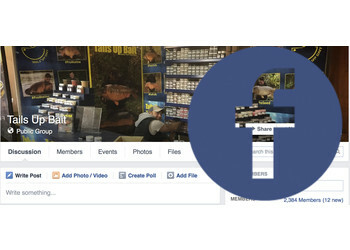 Please Join our Members Facebook Page we now have over 2000 members. 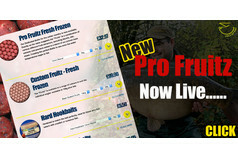 Over the next few weeks we will be announcing new Pro Team Members. 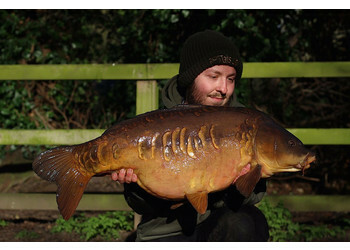 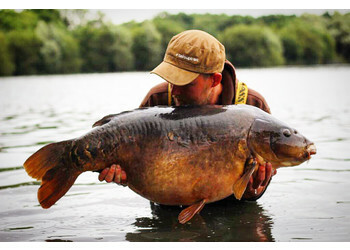 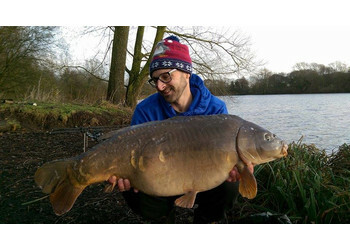 Paul McCarthy landed an awesome brace from Kingsmead 1 last week, Paul has been testing our new bait "Pro Fruitz" specially designed for winter use and as the temperatures have started to drop its already proving itself exceptionally well on a host of different venues from around the country. 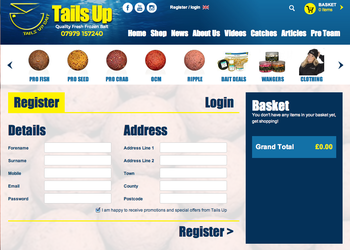 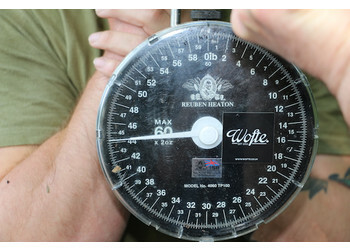 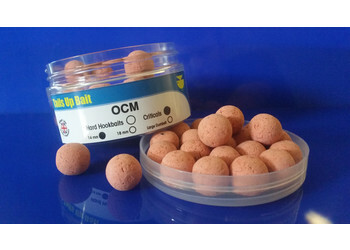 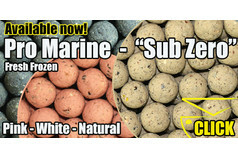 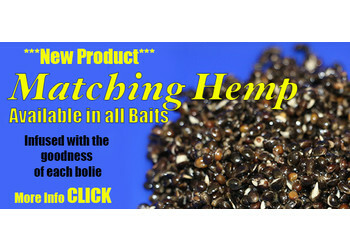 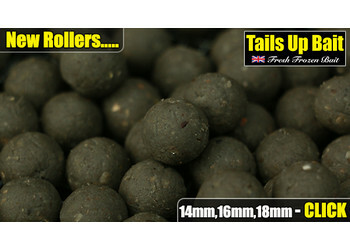 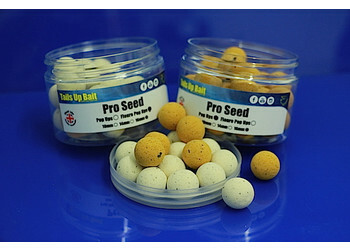 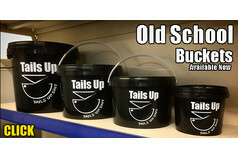 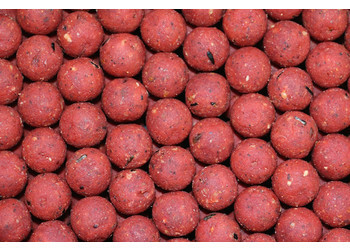 We are now back up to normal lead times on all bait orders and using APC to deliver all our parcels. 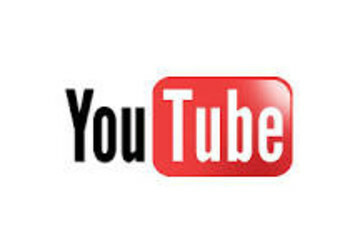 With lots of videos due to go live over the next few months please subscribe to our Youtube Channel.